Here is yet another example of a project that came to life because of a reader’s suggestion. Thank you for writing in with all of your wonderful craft ideas! When the idea was first proposed, there was no question that we loved it. 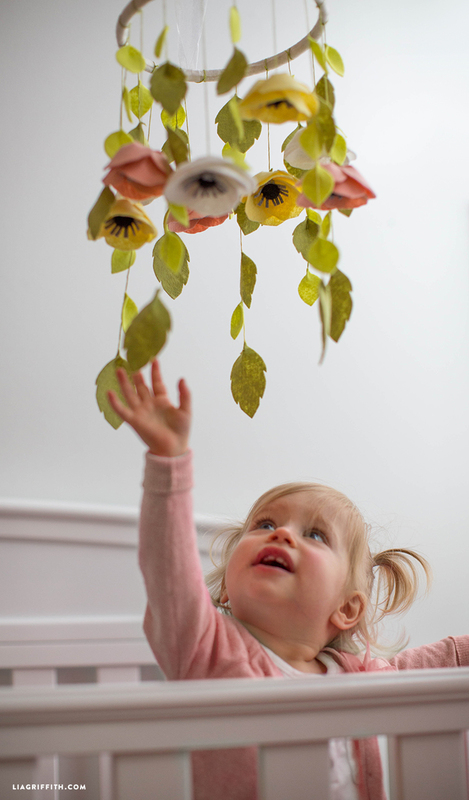 This felt flower mobile would be a gorgeous addition to any nursery! And of course it is a great opportunity to make something handmade for your little bundle of joy. Start this project by gathering your materials. You will need the inner circle of an embroidery hoop (the outer circle has a clamp, so do not use that one! ), felt, embroidery floss, and ribbon. 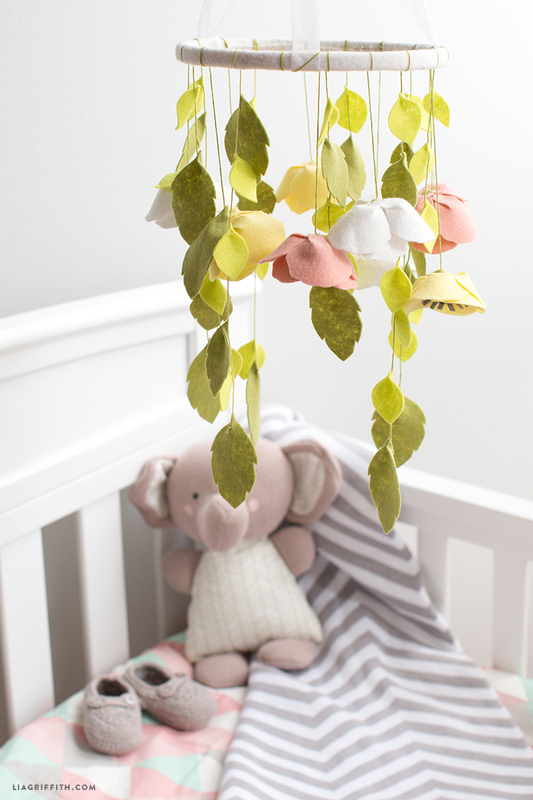 We chose a very springy color scheme for our flower mobile with light greens, yellows, blush pinks, and white, but feel free to choose any color scheme that you fancy. Next, choose a complementary color of embroidery floss and a pretty ribbon to hang your mobile once it is finished. Once you have your materials, begin by crafting your flowers. Find the template for our anemones and leaves below and use it as a guide for cutting your felt pieces. 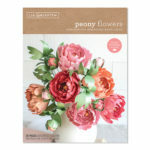 When your felt pieces are ready, follow this tutorial for crafting your flowers. After you assemble your flowers, use a thick needle to string your flowers and leaves together with the embroidery floss. 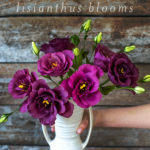 Assort your blooms and leaves randomly. We included some strands with only leaves, and some strands with both leaves and blooms. You won’t have to tie each piece in place (they should stay naturally), but be sure to tie a knot at the bottom of each strand. Use a bit of hot glue if you want to make the bottom blooms even more secure. Next, prepare your hoop as the base for your flower mobile. 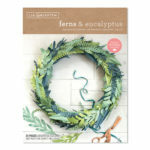 Cover the wood with felt (we used two pieces of felt for our hoop) and secure the seams with hot glue inside the hoop. Tie embroidery floss strands around the hoop with a basic knot to secure, and then add some hot glue to hold the strands in place. 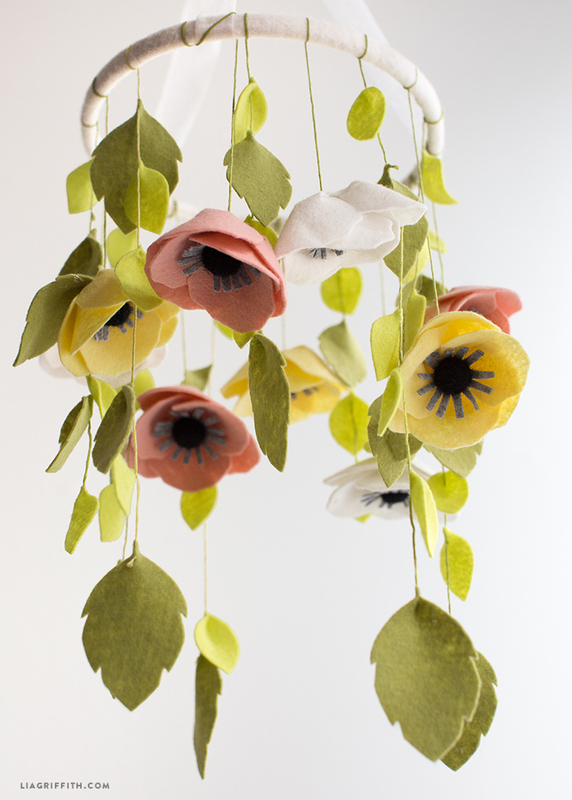 The last step in making your felt flower mobile is to add a pretty ribbon to the hoop. We used three pieces of beautiful organza ribbon, secured each piece to the hoop with hot glue, and then tied the three pieces together at the top. Simple! 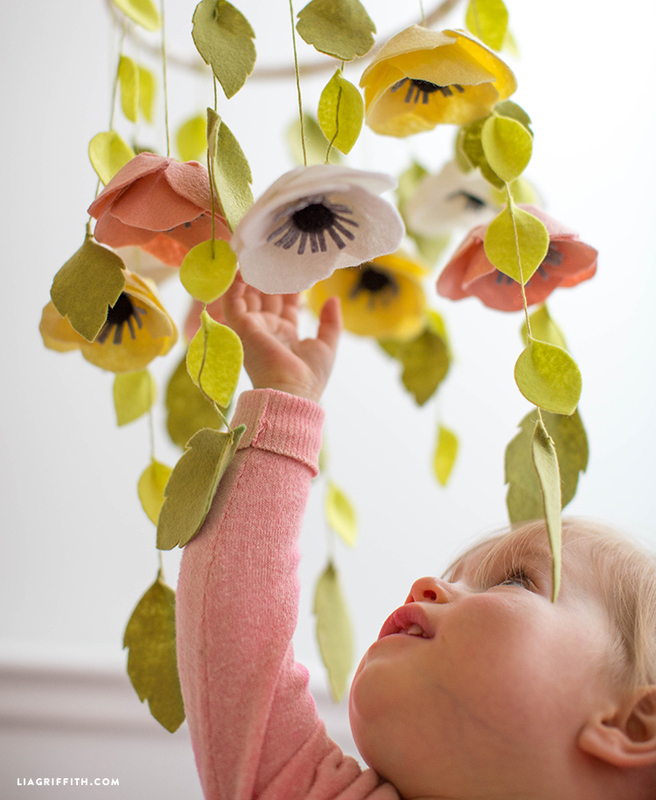 Follow our step-by-step photo tutorial for assembling your felt flowers here! I am buying the materials for this from Benzie Design right now, including the felt balls for the center. How big are the felt balls in your design? I was wondering if you have a recommendation on what needle I should use? A size 2 embroidery needle will work great! 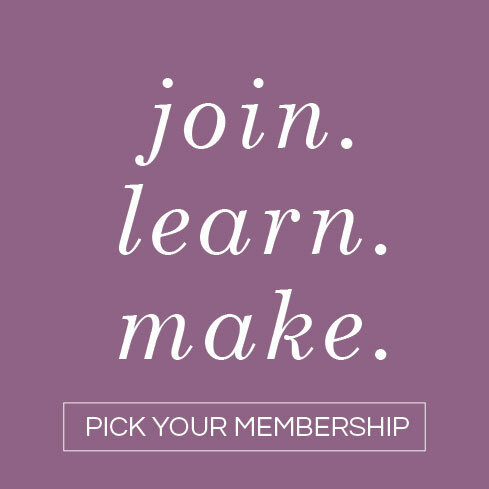 Wondering if this could be made on the cricut? Yes! If you’re using the Cricut Explore, you will need to stabilize the felt first before you can cut it. How do you hang the mobile? Hooks from the ceiling? Just wondering what size embroidery hoop you used? We used an 8″ wooden embroidery hoop. Ouch! 🙁 I use just enough glue to keep the petals closed, but not so much that it creates a problem to sew them together. I’m sorry for the trouble! I feel that some of your templates are much smaller than the pictured example. Is this so? No, they shouldn’t be different. We rarely change the template after photographing it. how much embroidery floss would you buy? i was thinking two skeins to be safe? How many of each size leaves am I supposed to cut out? Instructions don’t specify. Also, there are no detailed instructions on how to cover the hoop. I’ve never done this before. I find it confusing. Can you please explain? We cut 18 of the larger leaves, and 26 of the smaller– but you can certainly use more or less than that if you want. We didn’t catch photos covering the hoop (we didn’t intend that to be part of the original project), but cut two long strips of white felt, wrapped it around the hoop and glued it closed on the inside of the ring. You can see in the second picture how the seam runs along the inside of the hoop horizontally. The hoop could be painted white, or left its natural color as well! How many of the medium-sized leaves from the template did you use? We used about 10, though it is really dependent on how long the strings on the mobile are, as well as how full you want it to look! I am in love with this! I can’t wait to make it for my baby girl due the first of March! I was wondering how many sheets of felt you used or would recommend for each color? Thanks! Congrats, Heather! We love to order from Benzie Design and usually pick up 2 sheets os 9×12 (prefer to have extras on hand!) We used Chartreuse, Moss and Meadow for the leaves, Butter, Blush and White for the flowers (and Black and Graphite for the centers). 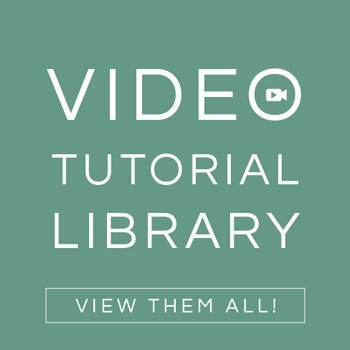 Thanks for the tutorial, can’t wait to make it! Just wondering what size embroidery hoop you used? Thanks. The hoop was 8 inches! 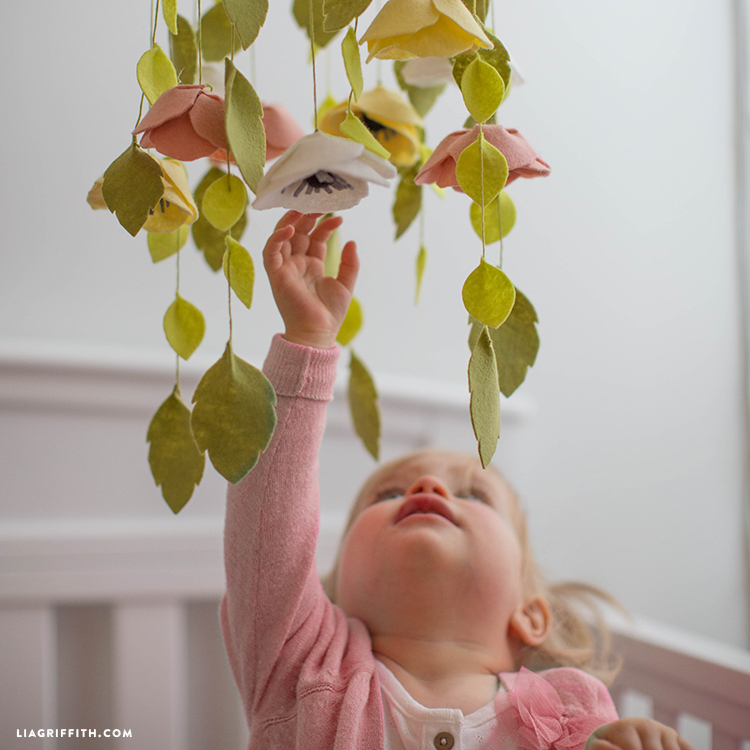 Lia, I absolutely love this mobile! I am having a hard time finding the felt I need. I’ve tried local craft stores but they only offer primary colors and a few other bright bold hues. Do you have any recommendations for retailers that offer a wide variety of colors? Or better yet, where you purchased the colors you used since I will be trying to recreate exactly what you’ve done! 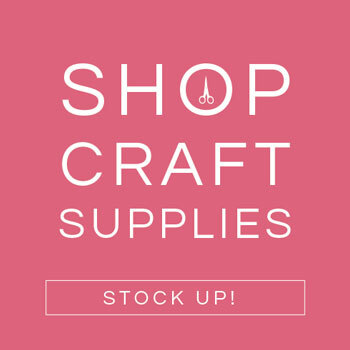 We often order from Benzie Design which has a great selection of felt colors. For this project we used: blush, white, smoke, butter, fern, and 1.5cm black felt balls. The bright yellow-green was from a local fabric store, but Benzie’s pistachio color would look nice as a replacement option! Love this! How did you get the little pinch in the top of the leaves? Hot glue? Thank you, I am so glad to hear you like it! How precious are those flowers; the colors sing to me. Thanks for sharing the tute. So perfect!!! Thanks for this tutorial!!!! And its done and ready to hang…what a fun and cute project!! Thanks again! Yay!! I am so glad that it all worked out! Your baby must be due any day now 🙂 Congratulations!! Feel free to send in some photos to us so we can share your work! Oh wait….I just saw the picture! So cute! !